Customized Directories - Eden I&R, Inc.
Eden I&R publishes specialized human services brochures, foldable pocket guides, and resource booklets to meet targeted information and referral needs. 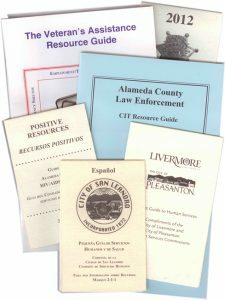 These directories can be customized according to specific types of human services, particular groups or populations, and/or distinct geographic regions within Alameda County. Rates vary depending on the size and complexity of the requested job. Call 510-537-2710 for more information. If interested in an online searchable portal of resource information available directly on your website, please click here to see information about our Internet Data Integration Services.